The Cherry Hill Mall will celebrate its 55th birthday on Tuesday, Oct. 11. A display featuring a variety of historical artifacts was on display during the Cherry Hill Mall’s 50th anniversary celebration on Oct. 11, 2011. The Cherry Hill Mall has been a cornerstone of Cherry Hill Township for more than half a century. The mall opened its doors on Oct. 11, 1961 as the first enclosed mall east of the Mississippi River. The Cherry Hill Mall was originally built and managed by The Rouse Company. Victor Gruen, the designer of the Southdale Mall in Minnesota, was the mall’s designer. The mall arrived at a time where development was booming in what was then called Delaware Township (Residents voted to change the town’s name to Cherry Hill just a few weeks after the mall opened). The mall quickly became a destination, with shoppers from around the Philadelphia region driving to Cherry Hill. The mall itself looks drastically different today than it did when it opened. The mall also had a financial impact on the surrounding region. While Cherry Hill received a boost from the mall, Mangiafico said the mall hurt many local small businesses and had a significant effect on the city of Camden. The original mall was smaller than the current version. The current JCPenney wing was added to the mall in the late 1970s. Also in the 1970s, The One Cherry Hill office building was constructed in the mall parking lot. More recently, the mall underwent a $220 million redevelopment project where more than 200,000 square feet of retail space was added. This includes a number of restaurants outside of the main mall building as well as a new Nordstrom department store and wing. Today, the mall continues to thrive even as many enclosed mall across the United States struggle to attract customers and tenants. According to a PREIT leasing brochure, the mall has had a 60 percent increase in sales since its redevelopment. In the Sun’s 2011 story, Mangiafico talked of a number of reasons why she felt the mall continues to thrive. “My guess as to why people keep coming back is that it has a good location … easily accessible from the eastern side of Philadelphia, and the majority of close suburbs. In many respects, it has morphed into the local mall over the years for Cherry Hill and Pennsauken, especially, and with recent changes, has become even more of a destination due to the stores that don’t have a presence in any other local malls,” Mangiafico said in 2011. 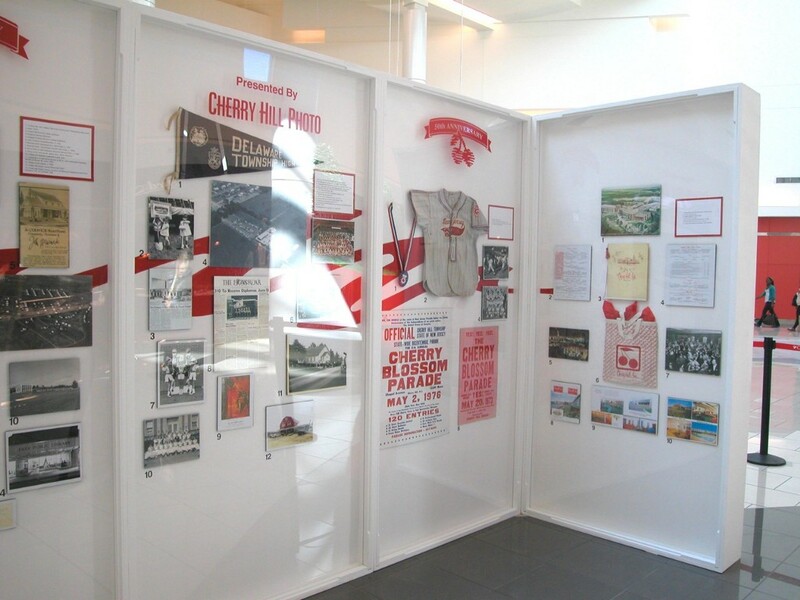 Would you like The Sun to do a feature on a specific part of Cherry Hill history? Do you have old photos of Cherry Hill’s past that you would like to share with us? Email news@cherryhillsun.com and tell us your suggestions for a future Throwback Thursday feature.